OpenSCADA system is an open implementation of SCADA (Supervisory Control And Data Acquisition) and HMI (Human-Machine Interface) systems. The main properties of the system are: openness( GPL,GFDL), multiplatform, modularity and scalability. Read more here or learn system's functional characteristics here. The site contains materials about OpenSCADA system and serves for granting the information on project, and also for the system development process control, together with the project's Wiki-resource. The process of adaption has came to an active phase and I already spent to it about 20 days. For now OpenSCADA mostly builds and executes directly (as a standalone executable) on the Android ARM devices and the performance tests were done on the available hardware. 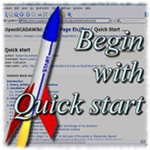 Due the adaption process touches the build system of OpenSCADA, for some users and developers it can be interesting in way of full-formatted adaptions to other OS, this is QNX or MS Windows about which on the forum they meant and some try. If the function of working OpenSCADA on the Android OS is significant for you, you can help by sponsoring the task and then you will get usable and supported result some faster. Your help for the task will also motivate and consolidate other users and developers for adaption OpenSCADA on other OS and hardware environments! The update 0.8.17 (12.02.2017) to the production release of long term support (LTS) targets to upgrade present installations of the production version for fix known for now problems and expand its to some improvements with operative services updates providing here for signed to the technical support service users. The update you can use for deploy new installations but for that better use The Work version (0.9) which provides more new features, modules, the component libraries and so on! SYS: More functions set to constant after some objects appending by a copy constructor. TConfig::cfgChange() expanded by previous configuration value argument "pc". TVariant: It's expanded in string type for STL-string using always except fields marked as "stdStringOmit", mostly for TCfg as a constant. Raspberry Pi 2 and 3 boards were purchased as a platform for free access to low-level buses from Linux and OpenSCADA environments. For allow to work with Raspberry Pi GPIO the OpenSCADA was expanded by new DAQ module BCM2835. For work with the bus I2C the OpenSCADA module Transport.Serial was expanded to I2C support. To provide a configurable fast access by the the static external functions call the DAQ.JavaLikeCalc module was expanded to the functions dynamic linking. For working with the 1Wire bus there were developed RS232 adapters DS9097, DS9097U and created proper templates into OpenSCADA. Also the templates have included support of the different 1Wire chips: DS1820, DS1820/DS18S20/DS1920, DS1822, DS2413, DS2408, DS2450, DS2438. I2C bus was tested on the Raspberry Pi boards for chips: PCF8591, PCF8574, DS3231, AT24CXX. GPIO was tested for devices: DHT, 1602A. The documentation actualized to the current OpenSCADA state and trends, significant updated, appended and translated. The documentation described in details the new data sources redundancy mechanism. UKRAINE, Kamjanske 2006-2016. Mastering by Roman Savochenko (rom_as at oscada.org). Powered by CMS TYPO3.